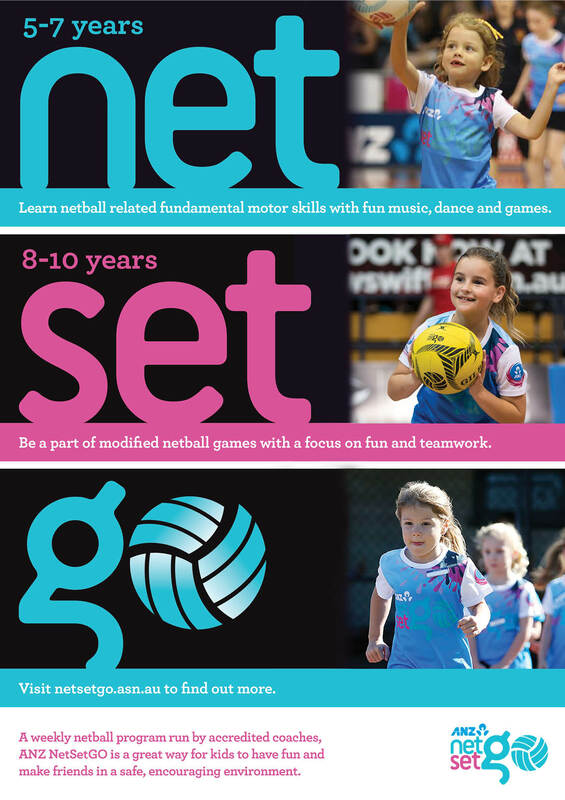 ANZ NetSetGO is Netball Australia’s only junior entry netball program. It has been developed to provide children from 5 to 10 years with the best possible learning and playing experience to develop a positive introduction to netball, ensuring enjoyment and continued participation. ANZ NetSetGO incorporates skill activities, minor games, music, dance and modified matches in a fun and safe environment. The weekly program is coordinated by accredited coaches to ensure a quality experience for all participants. The program consists of 2 tiers – “Net” and “Set”. The ages mentioned with each tier below are not strict, more of a guideline for centres and coaches. The tiers are briefly explained in the image.